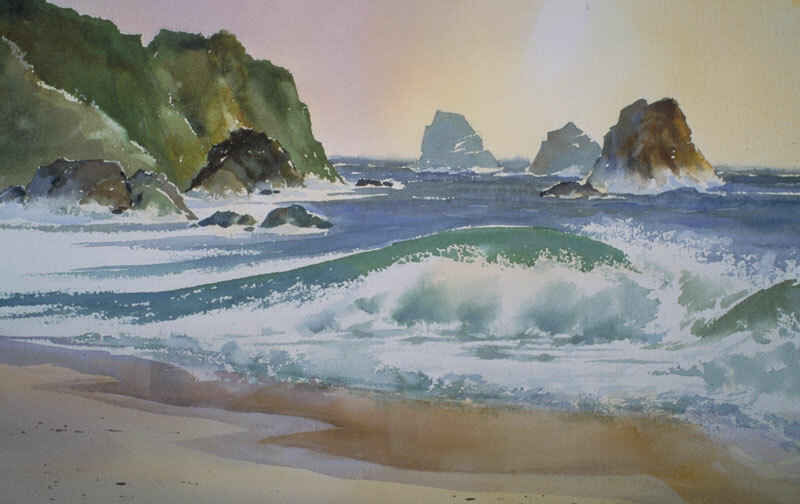 Thomas Freeman Original Watercolor Painting: "North Coast Surf"
It was a sunny, windy day when I visited this beach and the surf was pounding. Waves are breaking up on the sand, and the receding background surf is churning white. That white water is simply the white paper; all I needed to do was tint the edges a little. Heavy paper helped me capture the surf spray.